This table can be helpful if you are thinking of upgrading from Kepler 7 to either Kepler 8 or Sirius 3.0, upgrading from Kepler 8 to Sirius 2.0, or deciding whether to purchase Kepler 8 or Sirius 3.0. Kepler 8 has all features in Kepler 7 plus additional features and improvements. Sirius 3.0 has all features in Kepler 8 plus additional features and improvements. Easy to use, but the layout, design, and colors of many windows are nicer in Kepler 8 and Sirius 3. Elegant. Same as Sirius 3.0 Elegant. Same as Kepler 8.
Business Manager feature for scheduling clients, etc. Number of charts of famous people, businesses, etc. Many wheel styles and excellent features to customize Improved default colors and color choices, more elegant Page Designer with drag-and-drop capability Same as Kepler 8 and also a popup wheel, a popup wheel in a separate program feature, and a menu item to view the wheel in a graphics program. Also chart wheel patterns according to different methods such as the Huber system, etc. AstroClock and very simple and limited Time Adjust feature. BiWheels, TriWheels, and QuadWheels are available but not in an Interactive style where you can interactively move the chart forward and backward in time. Elegant and sophisticated Time Adjust feature, Interactive Natal-Transit BiWheel, Interactive Natal-Progressed BiWheel, and Interactive Natal-Transit-Progressed TriWheel. QuadWheels are available but not an interactive QuadWheel. Same as Kepler 8 and also an Interactive QuadWheel that is either Natal-Transit-Progressed-Solar Return or Natal-Transit-Progressed-Progressed (2 progressed charts such as secondary progressed and solar arc, for example). Yes Yes Can also include any asteroid in a midpoint structure, midpoint structures in altitude, and also golden ratio and direct distance midpoint structures. Degree Meanings according to 11 different astrologers Also the original Sabian Symbols by M.E. Jones, Sabian symbols of angular distance, and the Ciruclar Degree Meanings of John Sandbach Same features as Kepler 8. Harmonics, Fixed Stars, classical astrology, etc. Many listings and tables of information Same as Kepler 7. Also other listings and tables such as List of Asteroid Nodes, Perhelion and Aphelion, Refranation Table, composite almutens, almudebit and anareta tables, temperament analysis, Table of harmonics 1 – 32 based on work of David Hamblin, Ability to select highest harmonic in harmonic aspect grid, List of Harmonics 1 – 128 of direct midpoint structures, Huber strength listing, etc. Many graphic forecasts Same features as Kepler 7, but with improved user interface Also a sophisticated Weather Forecast and a Gold Price Forecast, and an Accident Proneness Forecast. There are tutorial videos on the research that is the basis for the Gold Price and Accident Forecasts. A score indicating likelihood of birth time based on various forecast methods Same as Kepler 7 with some improvements to the user interface. The automatic rectification feature of Sirius 3 is available as an optional purchase. Automatic rectification: the likelihood of the birth time over the time period during the day that you select is determined and a graph of the results and a window of the astrological details is given. Several different methods of calculating primary directions are provided. Same as Kepler 7 Also options for planets aspecting planets, the 4 major asteroids, and Chiron, and primary directions without latitude. Extensive features for researching the database for specific factors or AstroSignatures, compatibility, paired charts such as a chart and an event, etc. 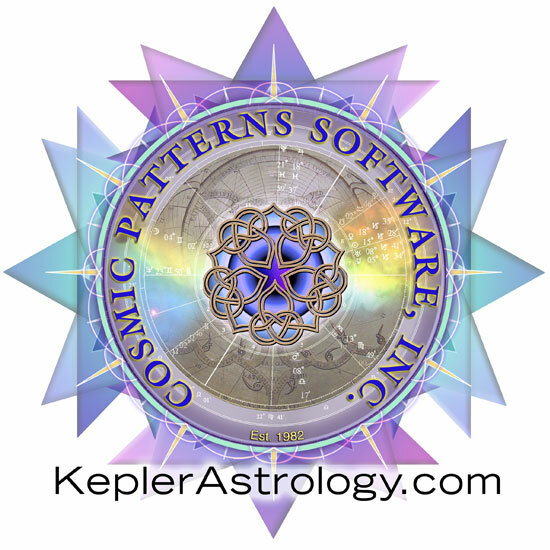 Also ability to list chart data sorted by date or a planet position Same as Kepler 8 and also a feature for exploring quantitative data and synodic cycles, and the ability to export planetary data for use in a spreadsheet program or statistics program.